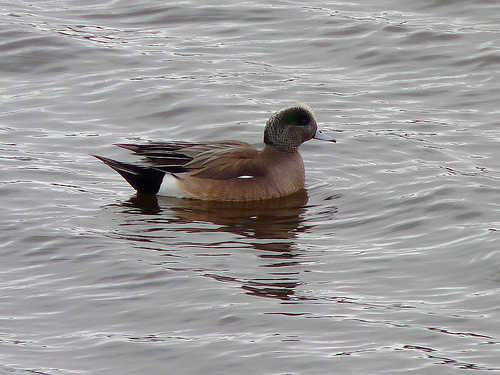 The American Wigeon is a brother of the European species. Almost every winter some American Wigeons may be seen, among large groups of European Wigeons. 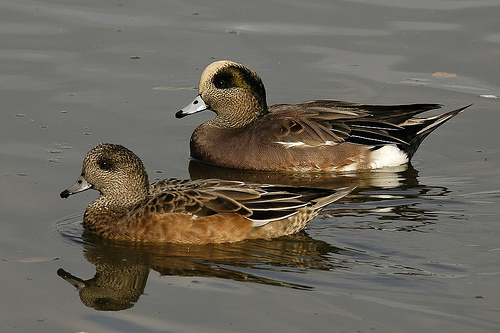 The American Wigeon has a white crown, the european Wigeon has a golden-yellow crown.